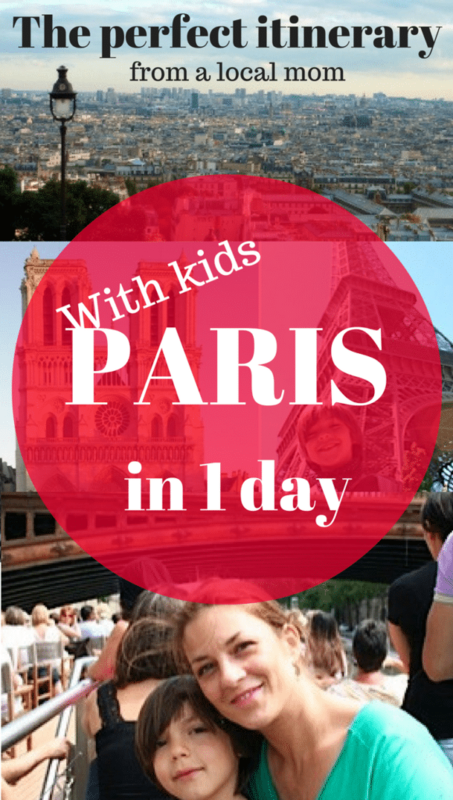 Are you spending only one day in Paris with kids? Let me be your guide in my hometown to get the most out of your short stay! What about a great itinerary from the historic center of Paris through the Left Bank side, among some of Parisian’s families favorite spots, gardens and museums? Follow me, and let’s go for our perfect Parisian day! 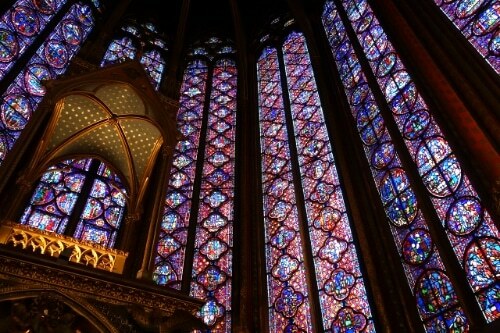 Our visit of Paris in one day with kids will start at the Cathedral of Notre-Dame, on the « Parvis » square. Can you find the bronze star set into the cobblestones, right in front of the Cathedral’s main entrance? Bingo, you’ve hit the ‘Point Zero’: it is the exact center of Paris and the location from which all roads of France are measured. The kids may also recognize that the Cathedral is the The Hunchback of Notre Dame Disney’s movie’s set (and of course of Victor Hugo’s novel « Notre-Dame de Paris ») and have a look to Quasimodo’s friends, the famous gargoyles! Why not have lunch in a casual and typical Parisian café? Ask for a baguette sandwich “jambon-beurre” (ham and butter), or a « croque-monsieur » with French fries. To do as French do, try some of our most popular drinks: “Grenadine” for the kids (syrup made from pomegranate seeds), and “panaché” for the grown-ones, that is simply a combination of a light beer and a citrusy soda like Sprite. On a sunny day, it could also be nice to have a picnic at Square du Vert Galant (at the end of the Ile de la Cité). Any bakery can provide some nice sandwiches and beverage to take away. Because everybody needs to seat and relax sometimes, all the family will enjoy a ride on a riverboat (that we call “bateaux-mouches”). It’s a great way for the kids to have a glimpse and admire some of the Paris’ highlights, passing by the Palais de Justice, the Louvre, and of course the Eiffel Tower (what would be a trip to Paris not seeing the Tour Eiffel ?!). Don’t forget to give the kids anything to take pictures and make their own photo story! Cruising lasts approximately one hour. 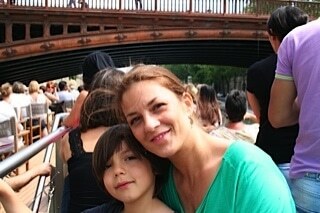 Departure from the Pont Neuf (Paris’ oldest bridge), with the “Vedettes du Pont Neuf”. If the weather is not great enough for outdoors activities, head to Jardin des Plantes (Botanical Garden), where there is a great Natural History Museum. 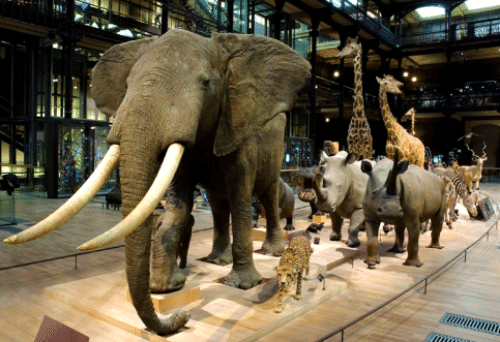 Go straight to the “Galerie de l’évolution”, where stands a spectacular parade of stuffed animals: giraffes, elephants, hippopotamuses, tortoises… a procession worthy of Ice Age! (Museum d’Histoire Naturelle: 36, rue Geoffroy Saint Hilaire 75005 Paris – closed on Tuesdays). In the Botanical garden itself, there are plenty of things to do for young people: adventure playground, old and pretty merry-go-round, and a small zoo. And for dinner, yummy crepes! Although you may dream of a French cuisine gastronomic meal, I bet that the kids will love to have yummy crepes in a casual but cozy eatery. It’s more a Brittany than a Parisian specialty, but anyway you’re sure to treat your kids! Try both savory (« galettes ») and sweet crepes, with a cup (or more) of fresh apple cider for the parents. Don’t they deserve a reward after visiting Paris in one day with kids? My favorites « Crêperie » in the Latin Quarter are: Crêperie des Canettes, 10 rue des Canettes 75006 Paris or Little Breizh, 11 rue Grégoire de Tours 75006 (don’t miss their salted caramel crepe, a real delight!). Tips: This one-day itinerary in Paris with kids can all be done by foot and bus. It mixes fun and educational activities for kids and sightseeing of beautiful historic areas of the city. The more convenient would be to stay at an hotel or rental apartment on the Left Bank (Saint-Germain-des-prés or Latin Quarter), not the cheapest area but surely one of the loveliest… worth it! 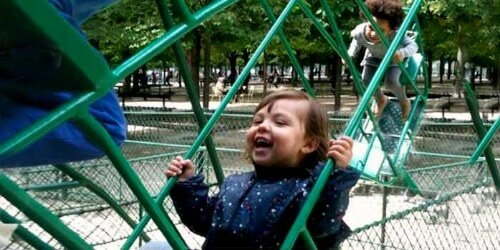 So this is what I would pick if I had only 24 hours to spend in Paris with kids. But of course, there is a lot more to do! If you are lucky enough to stay longer, check out our more complete Family friendly guide to Paris with kids! This article was originally published in Our Globetrotters series “Explore my City”. Oh we love Paris and there’s a few things here we haven’t done! Thanks for the guide! Will check out the complete guide for next time. This is awesome! We are headed there this spring! Now I don’t have to plan my day! Thanks! Glad it could help 🙂 Enjoy your stay! 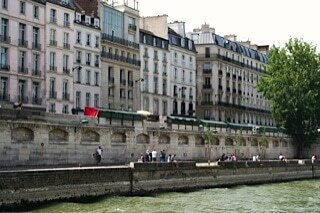 Where do we catch the boat tour rides on the Seine?